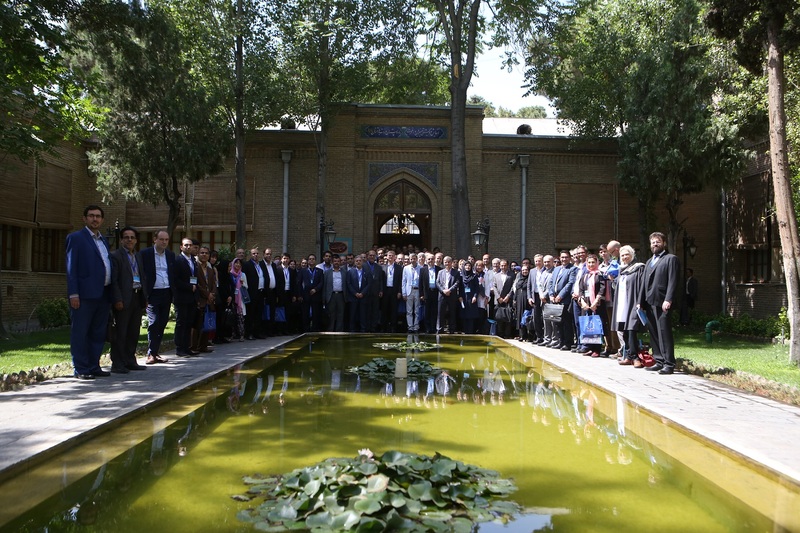 The event “EU-IRAN Higher Education and Research” was held on 3-4 July at the University of Tehran. Organized by the European Commission (EC), the event had seen the participation of representatives from the Directorate-General for Research and Innovation of the European Commission, the Governments of Iran, the Netherlands and Germany, several Universities from Europe and the Middle East and EU-funded projects. Under the spotlight, the opportunities of the cooperation in research and innovation with Horizon 2020 and Erasmus+ programmes. Moreover, workshops were held on different topics, such as: “EU-Middle East Science, Technology and Innovation Cooperation”, “Key Enabling Technologies”, “Horizon 2020 Social Sciences Thematic Programme”, etc. Merid participated with four partners of the consortium: CERISS (Center for Regional and International STI Studies and Support), ESADE (Center for Global Economy and Geopolitics), MOST (Iraqi Ministry of Science and Technology) and IRAMOT (Iranian Association for Management of Technology). Dr. George Bonas of CERISS held a speech about the “Do’s and Don’ts for a successful Horizon 2020 application” and moderated a workshop to present the draft Comprehensive Policy Paper on “Future EU-ME cooperation opportunities – Recommendations for an enhanced EU-ME STI cooperation“. “The Event was very successful” – Dr. George Bonas said – with the participation of a lot of Iranian stakeholders (Ministry of Science, Research and Technology; Ministry of Health and Medical Education; Vice-Presidency; Rectors and other representatives of Universities from Tehran and many other cities; etc.) which also proves that the interest in H2020 topics is strong. “My presentation helped attendees to better understand the necessary steps to take in order to improve cooperation from both from the authorities side, as well as from the researchers side”. The parallel Workshop, dedicated to the discussion of the recommendations, attracted a wide range of experts and representatives of our stakeholder groups and it was among the most demanded workshops in terms of participants. Many contacts and discussions were held during the two days with several stakeholders. 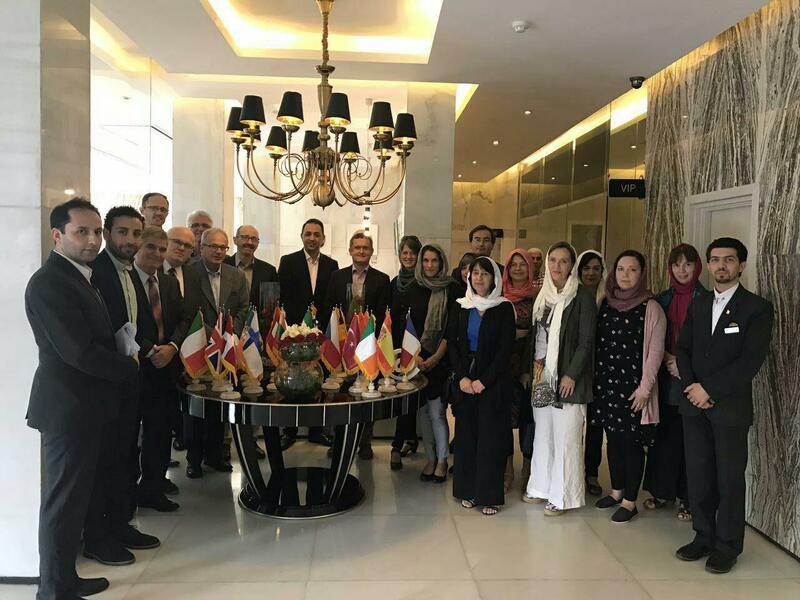 This allowed MERID partners to get valuable insights on the views of the Iranians and on the obstacles that can exist in their participation in H2020. “The event was a true success, and allowed sharing information with more than 90 participants from different provinces of Iran. The first day focused more on research and H-2020 projects while the second day was about the educational programs of EC. I really appreciate George’s speech and I was not the only one. I heard people referring to that speech until the end of the event. Samir Badrawi of MOST was delighted with the good impression made by MERID: “Day-1 event was very fruitful and successful. MERID group was shining, and all attendees of the workshop with George Bonas were really happy when George revealed some tips on how to make successful application for winning H2020 Calls. Besides, presenting MERID as a successful project case of H2020 made the session even more active“. In addition, Kyriaki Papageorgiou from ESADE provided a testimonial on her Marie Curie experience and Marie Vandendriessche, also from ESADE, contributed to the session on Jean Monnet activities by presenting the project MEKBiz that she managed. ESADE has been active also to conduct bilateral policy dialogue meetings with the participants of the event. MERID – Middle East Research and Innovation Dialogue project – is a coordination and support project funded by Horizon 2020. Active since January 2015, the project is focused on Science Diplomacy, to intensify and encourage Research & Innovation cooperation between the EU and the Middle East region.